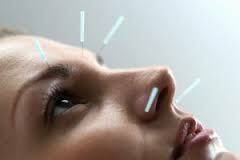 Acupuncture has been used to complement mainstream medical treatments more and more frequently in recent years. This therapy, derived from Chinese traditional medicine (TCM), has proven effective to treat chronic pain, as well as over 40 other illnesses and diseases. The practice of acupuncture and how it works remains shrouded in mystery for most people, however. Below is a brief history of acupuncture therapy that will shed a little light on this ancient healing art.